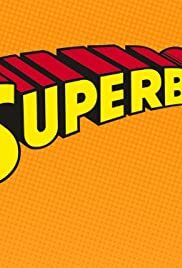 Lex Luthor has a plan to destroy the world's population with a series of dirty bombs, but first he must get rid of Superboy. One of the best Superman adaptations ever. It seems that sometimes very few people even remember that "Superboy" existed. But it did. And I have felt for a long time that this is the best ever (so far anyway) television adaptation of the Superman mythos. This show really stayed true to its comic book roots. This series marked the first live-action appearances of Mr. Mxyzptlk, Bizarro, & Metallo. It also featured some really inventive storylines such as those featured in "Roads Not Taken" and "The Road to Hell", two 2-part episodes dealing with the Superboys of alternate universes, and "To Be Human" which featured Bizarro being transformed into a normal human only to have to give up his humanity to save Superboy's life. I don't care what anyone says, this series surpassed any other Superman television series in quality of stories and truth to its comic book roots.